This is not your average soft-focus "journey to Asia" kind of cookbook. Koreatown is a spicy, funky, flavor-packed love affair with the grit and charm of Korean cooking in America. 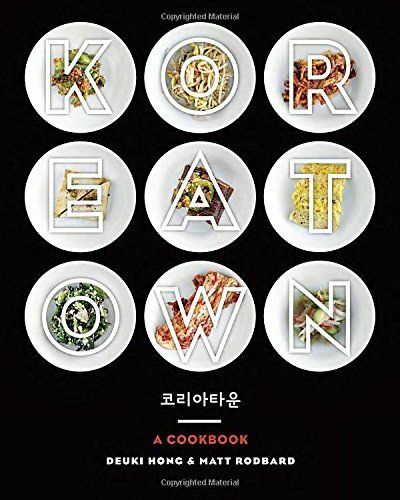 Koreatowns around the country are synonymous with mealtime feasts and late-night chef hangouts, and Deuki Hong and Matt Rodbard show us why with stories, interviews, and over 100 delicious, super-approachable recipes. It's spicy, it's fermenty, it's sweet and savory and loaded with umami: Korean cuisine is poised to break out in the U.S., but until now, Korean cookbooks have been focused on taking readers to an idealized Korean fantasyland. Koreatown, though, is all about what's real and happening right here: the foods of Korean American communities all over our country, from L.A. to New York City, from Atlanta to Chicago. We follow Rodbard and Hong through those communities with stories and recipes for everything from beloved Korean barbecue favorites like bulgogi and kalbi to the lesser-known but deeply satisfying stews, soups, noodles, salads, drinks, and the many kimchis of the Korean American table.